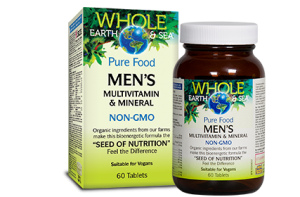 This non-GMO, whole-food formula features bioenergetic vitamins and minerals in a nutrient-rich base of organic plants grown on Natural Factors farms. Plants are harvested at their peak and immediately raw processed at our facilities using EnviroSimplex® to retain the vital minerals, vitamins, enzymes, phytonutrients, and antioxidants. The processing temperature always stays below 48 °C (118 °F) resulting in raw nutrition from whole plants that captures all the vibrant energy and goodness of nature. 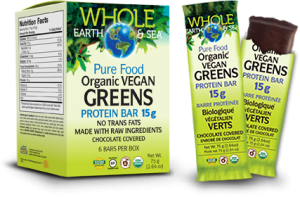 The Pure Food Organic Vegan Greens Protein Bar is the whole-food answer to healthy on-the-go nutrition. 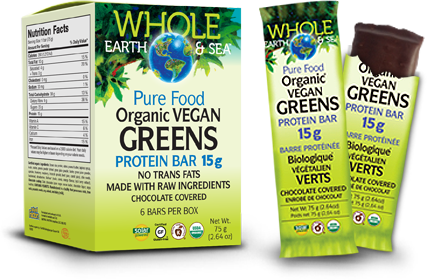 Each chocolate covered bar is 100% organic and made with 80% raw ingredients, providing 15 g of quality vegan protein in a low-glycemic formula. A great-tasting green superfood designed to fuel your life and satisfy your hunger. Whole Earth & Sea Pure Food Herring Gold comes from sustainably harvested spring-spawning Norwegian herring roe. It is a natural source of omega-3 DHA and EPA in an easily absorbed phospholipid form. 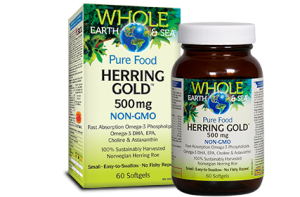 Herring Gold also contains choline, important for brain and liver function, and astaxanthin, a powerful antioxidant. 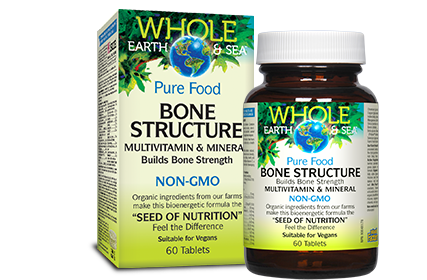 Pure Food Bone Structure provides real nutrition for building bone and keeping it strong. 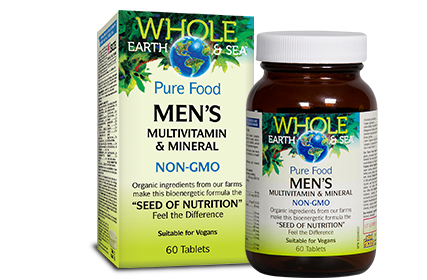 The 100% organic, non-GMO, nutrient-rich plants grown on Natural Factors farms are harvested at their peak and immediately raw processed using EnviroSimplex® to retain the vital bioenergetic vitamins, minerals, enzymes, phytonutrients, and antioxidants. The processing temperature always stays below 48°C (118°F) resulting in raw nutrition from whole plants that captures all the vibrant energy and goodness of nature.